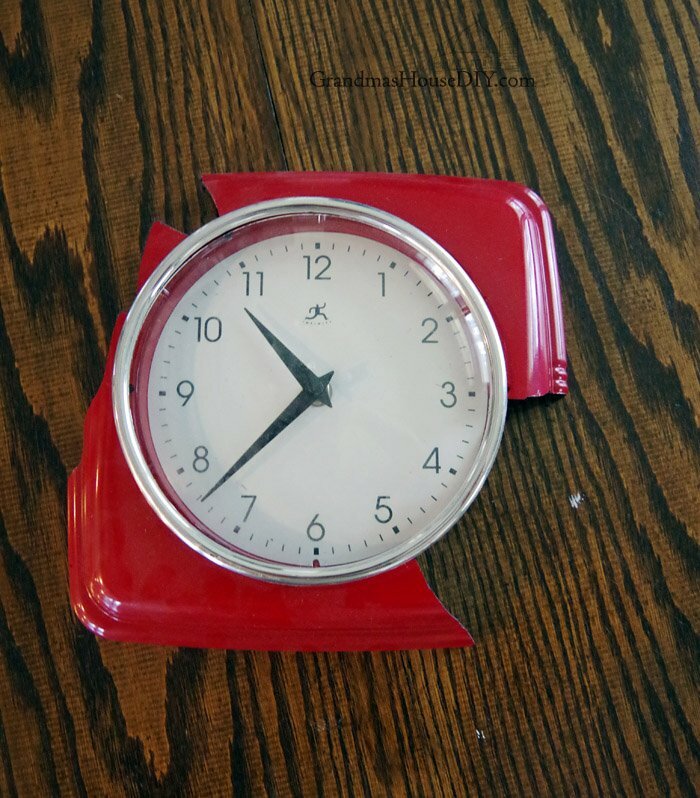 I absolutely loved this clock when I spotted it on Amazon. It hung on my wall for years until, one day, it just took a dive for the floor. So my beloved clock was now a broken clock. I’ve kept it for months now planning on doing something with it but hadn’t quite figured out one the creative angle how to make it great again. I wanted to frame it out with wood but, honestly, I can build a bench no problem because its square lol not ROUND. 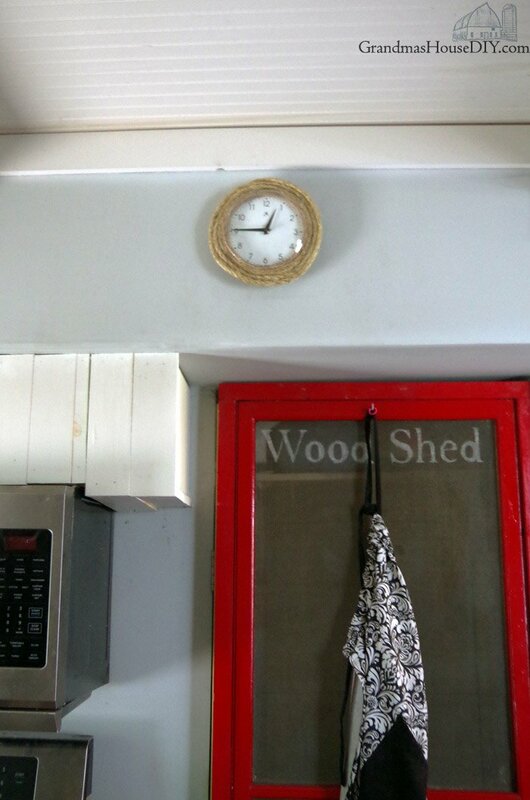 At first I was going to build a square out of barnwood, cut out a circle and fit the clock in it. But that didn’t feel right. With a “broken made new again” project coming up with the Farmhouse Hens (check out the amazing projects from the other gals below!) 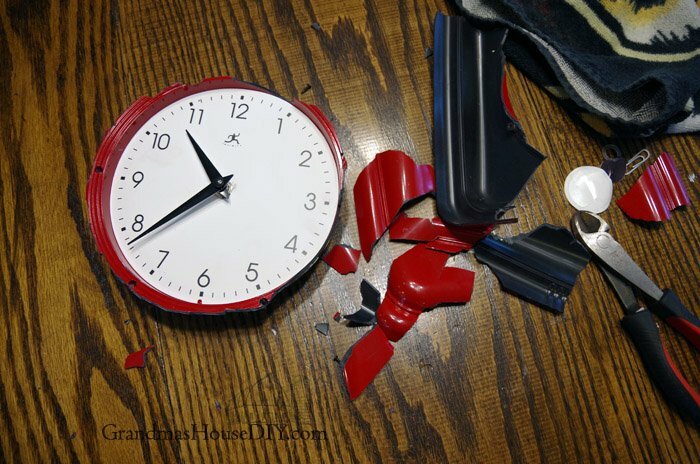 I knew it was time to fix my broken clock! I first tackled taking the clock a part and was wholly dissapointed to realize that the screws were just holding a little silver frame on the front and, in fact, the entire clock was just one big piece of plastic. Moving on to what I had remaining I knew I needed to conceal everything but the face. 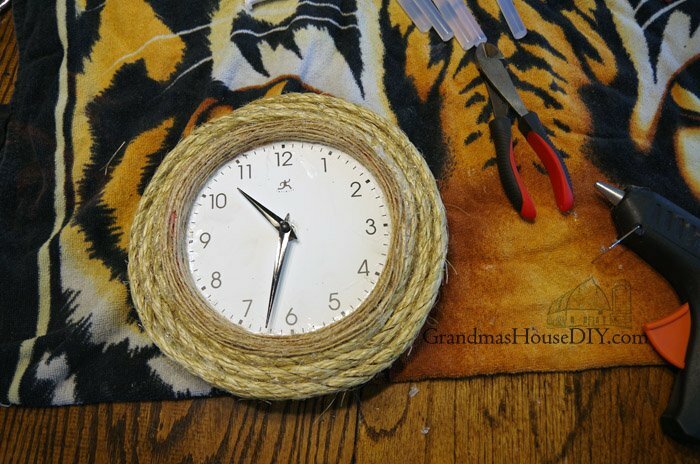 I grabbed my spool of twine and got to gluing. Because the twine was so small I opted for household cement/glue. I wrapped the entire interior with twine fighting the bleed through of the red the whole dang time. 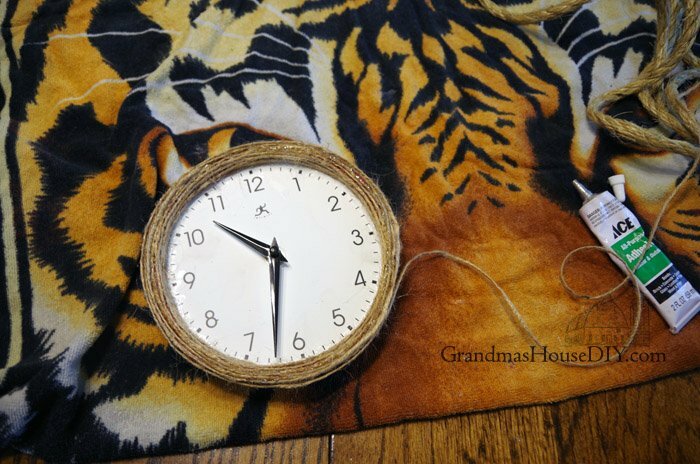 The twine covered the majority of the broken clock frame. With the inside complete it was time to make my frame. I had this rope leftover from my hanging flower boxes project. The regular glue wasn’t going to be good enough to hold in this case so I plugged in my glue gun and got to wrapping. It is a little wonky (I’ll admit lol) but I kinda love it and I also love that my broken clock got new life again! I think it fits right in in my farmhouse kitchen! 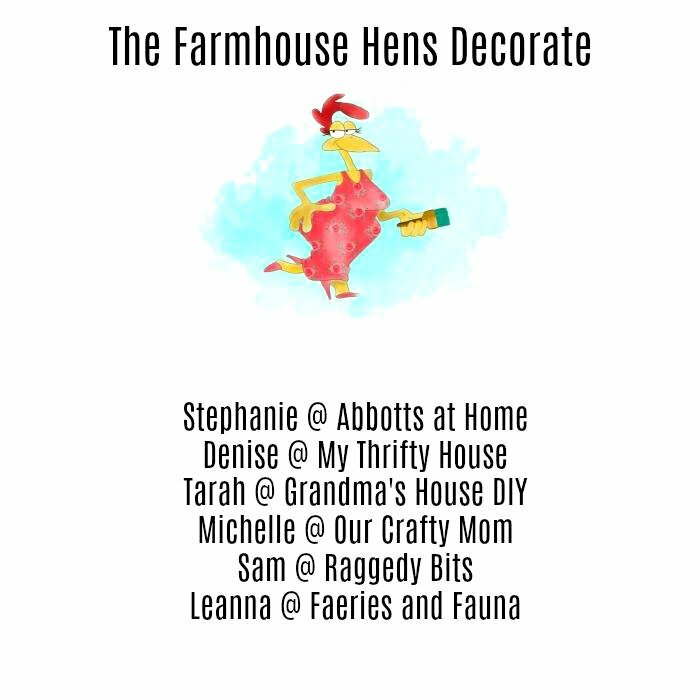 Make sure and check out the rest of the projects from the Farmhouse Hens this week, be prepared for some really creative ideas! 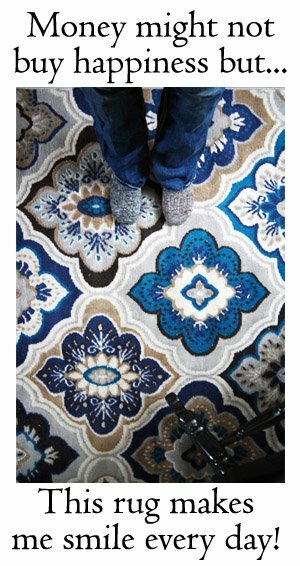 I am so excited to be a part of a group that contains so many spectacular DIY bloggers! Can’t wait to see what we all come up with next month and share it here on the blog with all of you! I feel your pain, it’s maddening when something you love breaks, especially if its vintage. Good for you to keep it and fix it up. 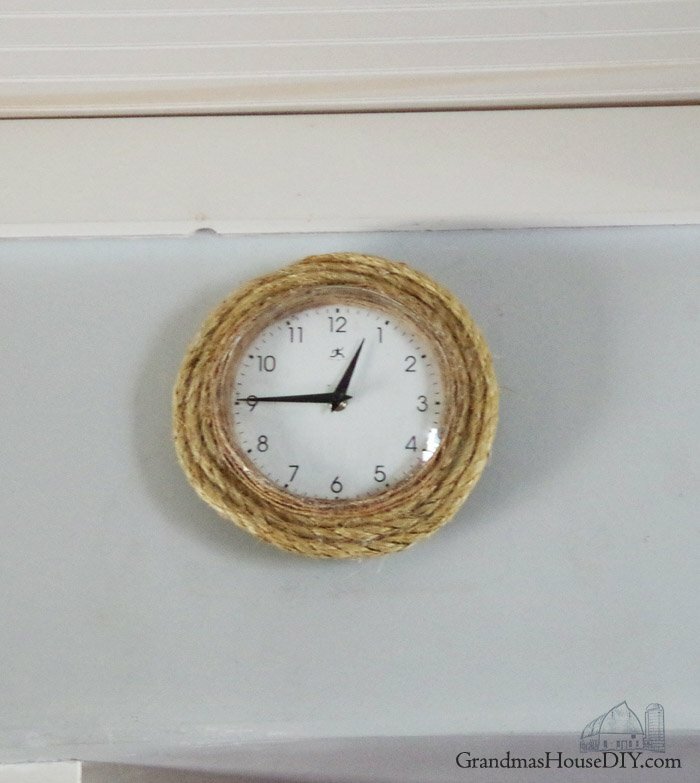 The rope is the perfect new frame for your authentic farmhouse setting. Thank you Leanna, I’m happy with how it turned out! When it broke it felt like such a shame to throw it away, glad I took the plunge to make a frame for it! 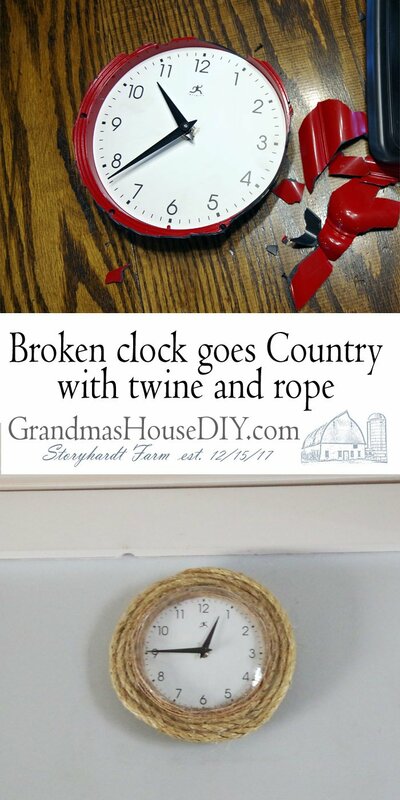 What a creative way to makeover the broken clock. It is so pretty now and good for many more years! Cute idea. I have several broken clocks. Nice save! I Love wrapping twine around things too. 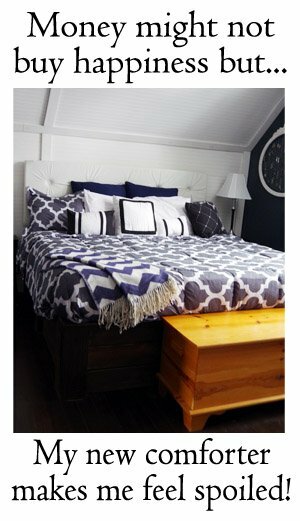 Great redo! 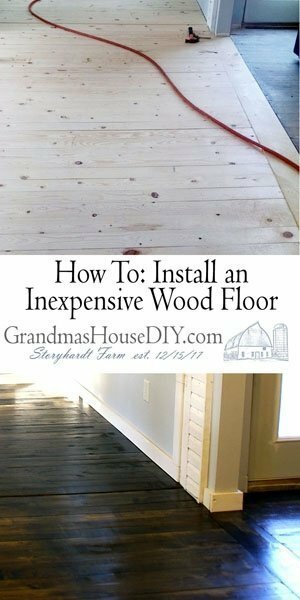 I’m sure it looks like a natural fit in your farmhouse. Visiting from Feathered Nest Friday. Great, save. Twine and rope is a life saver. The clock came out so good. It also fits in a coastal house.